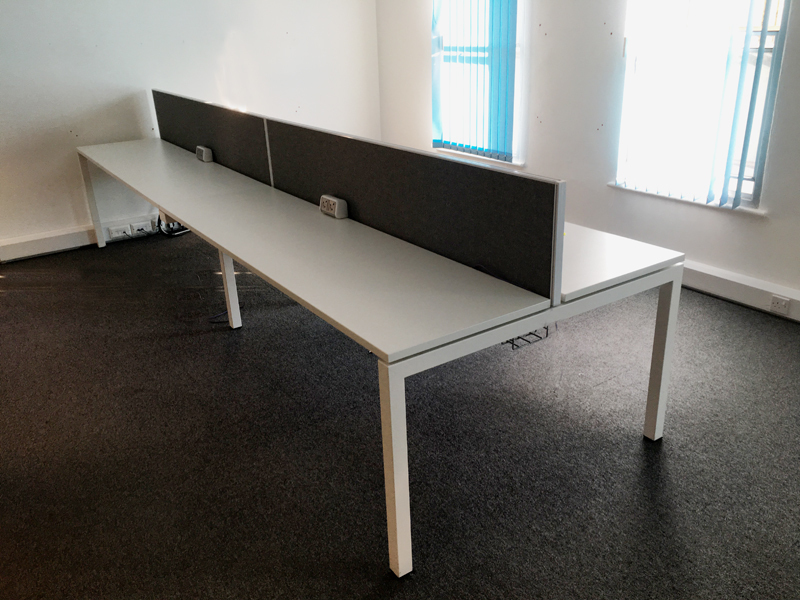 Overall width of desks are 1200mm, so 600mm per user. Various sizes of tops so with intermediate cut back legs user's per bank is flexible. Priced as 1000mm wide per user. For example block for 6 people is 3000x1200mm = £450+VAT. Matching desk end lockers available.